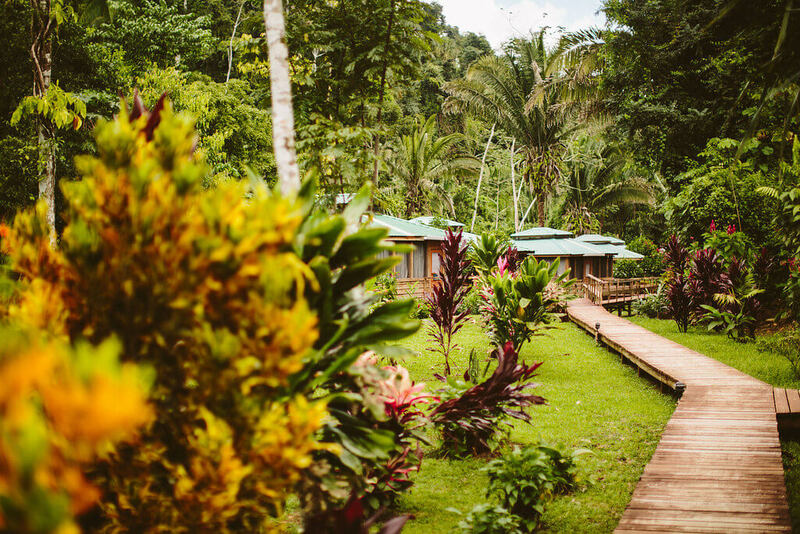 Spend five incredible days at an ecolodge in the heart of the rainforest of Belize. See colourful birds and other wildlife. On day trips, travel to Belmopan City to worship at a local church, take a guided nature walk in St. Herman’s Blue Hole National Park, visit Mayan ruins and a conservative Mennonite colony, and purchase local crafts at the Maya Centre. Spend a night and a day at Crooked Tree Wildlife Sanctuary. This delightful tour ends with three days and nights at a hotel on Caye Caulker Island off Belize. Take a boat ride to Belize’s Barrier Reef, the world’s second-largest reef! Snorkel in the warm waters for great views of beautiful fish and amazing coral. Tour leader Mark McReynolds has travelled to 22 countries. He and his wife Karen were Co-Directors at Jaguar Creek Eco-lodge in Belize for 4 years. Mark is an Ecopastor helping members of the Pacific Southwest Mennonite Conference in Southern California to care for God’s creation, and he leads SoCal A Rocha—a Christian conservation organization. Watch a recording of an online presentation with Mark as he shows photos and talks about what you will experience. Arrive in Belize and transfer to Jaguar Creek, an eco-lodge in the heart of the rainforest that is committed to stewardship of the land, supporting the local economy, and funding a Christian non-profit that assists Belizean students. Enjoy the sunset and meet the rest of your fellow travellers for dinner and an orientation to the tour. Begin the day with an optional early morning bird watching walk. After breakfast, take a natural history walk through the surrounding area. Be amazed at the incredible beauty of the rainforest. You’ll also likely see leaf-cutter ants and the cave that Jaguar Creek disappears into. Then there’s time for more birding, relaxing in the beautiful resort, or bathing in Jaguar Creek’s cool waters. After dinner you can attend a talk about birds and faith and one on Birds in Belize. Optional early morning birding. Worship at St Ann’s Anglican Church in Belmopan, the capital city of Belize. Stop at a nearby grocery store which offers imported English foods. After lunch at Jaguar Creek, walk to St. Herman’s Blue Hole National Park to see nature trails, and the jungle pool for which its named. Take a guided walk of this beautiful natural area, or go for a swim, or both. Tonight, continue the discussion on birds and faith plus listen to a lecture on Belize and the environment. Optional early morning birding. Near San Jose Succotz, visit Xunantunich, an impressive Mayan temple complex. You can even climb to the top of the temple if you wish! This afternoon, travel to Spanish Lookout, a Mennonite colony, for a tour of the area. The settlement was formed by Mennonites moving from Mexico and is a largely agricultural community. Tonight’s optional lecture is about the history of Spanish Lookout. Morning birding for the early risers who can’t get enough of the incredible birds. Travel along the Hummingbird Highway to Red Bank Village in Southern Belize. This is one of tour leader Mark’s Scarlet Macaw research sites. In Red Bank, have lunch with a Mayan pastor’s family. Then visit Maya Centre for a chance to admire or purchase locally produced handcrafts. At Dangriga, see the Caribbean Sea as well as Gra Gra Lagoon National Park with its mangroves and shorebirds. After dinner, continue the discussion on birds and faith, and hear about Scarlet Macaws in Belize and Mark’s doctoral research on these striking birds. Optional pre-breakfast birding. This morning, visit the Springfield Mennonite Colony, an Old Order Mennonite colony just 20 minutes from Jaguar Creek. Then visit Armenia Village, which was founded by Central American refugees fleeing conflict in the 1980’s. Tonight you will have an opportunity to connect with the residents during homestays in Armenia Village. Depart Jaguar Creek area to head towards Crooked Tree Wildlife Sanctuary, an internationally recognized wetland and an excellent birding and nature-watching location. On the way, stop at Belize River, a vital watershed for Belize. This afternoon you have free time at your lodge on the edge of Crooked Tree Wildlife Sanctuary—take the time to explore, go birding, or relax. Tonight, spend time with other tour members talking about what you are seeing or learn more about Scarlet Macaws and Mark’s research at an evening lecture. This morning, take in magnificent views of the Crooked Tree Wildlife Sanctuary on a boat tour, where you’re sure to see many water birds. Then have fun on a speedy, open boat to Caye Caulker, a small island off the coast of Belize with unique heritage and beautiful Caribbean views. Settle in at your lovely hotel. Get up with Mark to go birding again or stay in bed a little longer. Today, embark on a day trip to Belize’s Barrier Reef, the world’s second-largest reef! The Barrier Reef is home to an incredible diversity of plants and animals. Snorkel in the warm waters for great views of beautiful fish and amazing coral. Spend time this morning worshiping God together on the island beach as you talk about Jesus as the Creator, Sustainer, and Reconciler of all creation. The afternoon is free for you to relax, or explore the island by bicycle or by foot. Over dinner tonight, you’ll reminisce about all you have seen and experienced while travelling together through Belize. After breakfast, take a brief flight from the island to Belize City. Say farewell to your fellow travellers as you depart for home.